Share it on Pinterest to help us spread the word! As I type this, I can see my bookshelf full of cookbooks out of the corner of my eye. It’s a large collection, but when you want to learn Thai cooking, you buy a Thai cookbook…perfectly logical. Same goes for the FODMAP Diet. As much as I believe in adapting our favorite recipes to be low-FODMAP, I understand the value (and simplicity!) of having a dedicated low FODMAP cookbook, or a few cookbooks. And apparently, you guys agree. When I asked my private community if they’d rather have a low-FODMAP cookbook or modify recipes themselves, the majority wanted recipes they could follow WITHOUT thinking about it. I’m all for ease, and since it’s long overdue, I decided to create a roundup of the best FODMAP Diet cookbooks out there…in my personal opinion of course. Unfortunately, some book publishers will hire a recipe developer (maybe an expert at recipes, but not at FODMAPs) to crank out a cookbook as fast as possible. Often, no one bothers with testing the recipes. I also tried to provide variety on this list. I even have a low FODMAP vegan cookbook I can enthusiastically recommend. Let’s dive in! The Low-FODMAP Cookbook by Diane Fastenow Benjamin is a well-rounded collection of American home cooking recipes. Plenty of great photos too! I wrote a more extensive review of this book here. 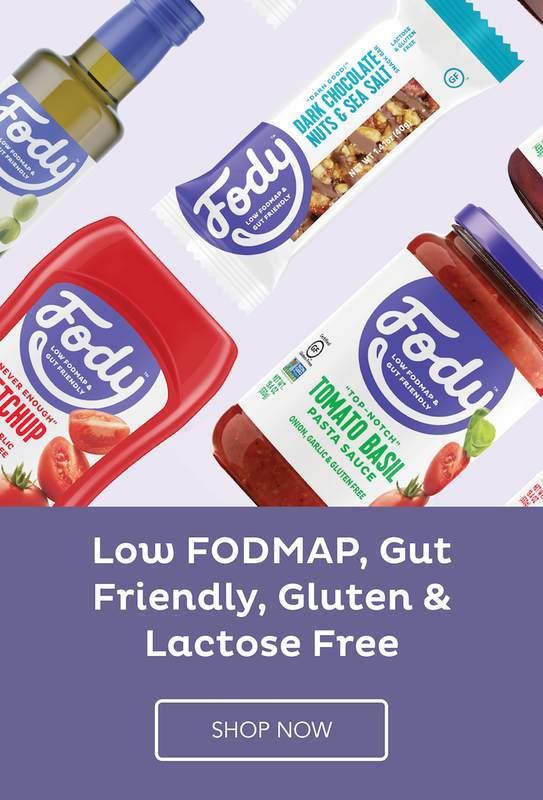 The Low-FODMAP Diet Step by Step: A Personalized Plan to Relieve the Symptoms of IBS and Other Digestive Disorders--with More Than 130 Deliciously Satisfying Recipes has a long title, but that’s probably because it’s packed with goodness. Written by dietitian and FODMAP expert, Kate Scarlata, and long-time cookbook author, Dede Wilson, it delivers by relying on natural ingredients and providing the knowledge to help make sense of this crazy diet. The Complete Low-FODMAP Diet: A Revolutionary Plan for Managing IBS and Other Digestive Disorders by Sue Shepherd, PhD, and Peter Gibson, MD is part FODMAP Diet manual, part cookbook. The authors are two of the original researchers at Monash University who developed the diet, so you can’t go wrong with this choice! Sue Shepherd has written multiple books on the FODMAP Diet, including this recipe focused volume: The Low-FODMAP Diet Cookbook: 150 Simple, Flavorful, Gut-Friendly Recipes to Ease the Symptoms of IBS, Celiac Disease, Crohn's Disease, Ulcerative Colitis, and Other Digestive Disorders. With enough variety to work for novice cooks, as well as foodies, this is a great bet. Click to check it out on Amazon. With a wide variety of recipes, the theme I focused on when writing this book was crave-worthy food. The title of this pretty cookbook by Jo Stepaniak says it all: Low-Fodmap and Vegan: What to Eat When You Can't Eat Anything. It IS possible to eat vegan AND get the benefits of the FODMAP Diet, and this book makes it easy with tasty recipes (including some great sauces). The Everything Low-FODMAP Diet Cookbook by Colleen Francioli is part of the “Everything” book series, which are known pack in loads of helpful information (but no pictures). With 300 recipes, plenty of them simple everyday meals, this book is great if you want lots to choose from. With a lot of misinformation around SIBO and the lack of one gold-standard dietary treatment, it’s (understandably!) difficult for patients to know what to eat. The SIBO Diet Plan: Four Weeks to Relieve Symptoms and Manage SIBO by Kristy Regan uses a modified FODMAP Diet to help heal the gut. This is an approach I’ve used successfully with clients, and it’s endorsed by Allison Siebecker, ND, a pre-eminent SIBO expert, who also wrote the foreword to this book. Keep in mind that any SIBO diet should be used together with medical treatment to be effective. There are some great FODMAP cookbooks out there, and more all the time! Do you have a recommendation that should be on this list? Leave a comment and let me know.